The month of October brings so many wonders. The rich colors of the leaves create a vibrant environment to lift our spirits and moods. We have had a great first month of school at the J. Turner Hood Elementary! Students have come to school ready to learn and displaying proper respect towards themselves and others. Our staff is working hard creating new learning activities for our students. I have had the opportunity to observe many classrooms and review a great deal of student work. As a result of these experiences I have been able to see that there is quality education going on at the J. Turner Hood Elementary. Our school doors are locked and access to the building will only be obtained by pressing the front door buzzer and then waiting for the office staffs’ identification of the visitor/student via camera. Please do not encourage students to give you access. Sign in Log- We appreciate you signing in at the office when you visit. If you have an appointment with the teacher or classroom, please let the office staff know and we will be glad to notify them of your arrival. Please always wear a visitors badge in the building. Please do not visit your child’s classroom unless you have a scheduled appointment with the classroom teacher. Unscheduled visits are very disruptive to the classroom teacher and to student learning. If you are dropping off a lunch, a forgotten item or materials/supplies for the class/teacher, please leave it with the office secretary. We will make sure it gets to the right place. If you are bringing in a late student, please say your goodbyes in the lobby. We will alert the teacher that your child is heading down. If you are dismissing a student from class or from the nurse, please let the office secretary know. Then please sign our Student Dismissal Log. Your child will be called to the office or you may pick up your child at the nurse’s office. Lastly, I have instructed our students that they should not open any doors for anyone at anytime. If you need to be admitted into the school please do so through the procedures noted above. There will continue to be many staff members to greet you outside the school in the morning. 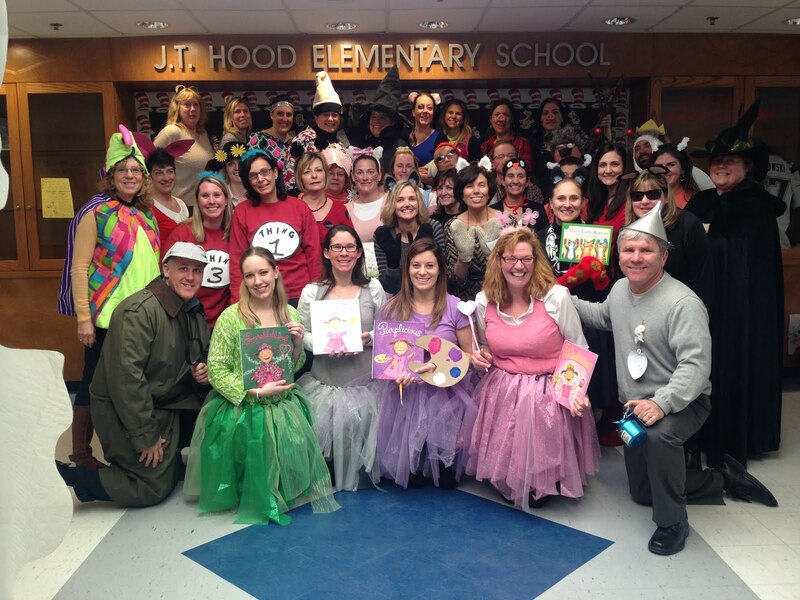 Just a reminder, our school hours at the J. T. Hood School are from 8:55 – 3:10. Please note that students may not be dropped off before 8:45 AM. If they arrive after 8:55 they are considered tardy. The school doors open at 8:45. The dismissal time from J. Turner Hood Elementary school is a very busy time of day. Busses are arriving to bring children home. Parents or child care providers are driving up to the neighborhoods near the school or walking up to pick up their children and older children are walking home alone. If you participate in the live line placard pick-up system to pick up your children by car, please be reminded to “queue up” in a single line down the driveway, through our parking lot and up to the Handicapped parking spot at the end of our “loop.” All cars should wait in a single line up to the school and not pass the car in front of them, even if you are not participating in the placard pick-up system. At all times, there must be space for two-way traffic on Haverhill Street and in the school driveway to allow for vehicles leaving and to provide emergency vehicle access. A suggested practice is to have the placard (a card with the family name on it) affixed to your passenger side visor and flip it down while you are “queued up.” Children who are being picked up via the placard pick-up system will remain in the Cafeteria while family names are called. As you pull up with the placard in view, your child(ren) will be called out using a walkie talkie system from staff out on the sidewalk to staff in the cafeteria, and placed in your vehicle. Please be sure to pull up as far as possible in the que. Aspen Road- Please be reminded that the school is a busy place and that the buses are arriving in this area. It is important that all families maintain order and safely monitor their children once they have been dismissed by the school staff. The office appreciates phone calls regarding your child’s absence or tardiness prior to school starting. This decreases the number of calls the office staff must make searching for students who are unaccounted for. Your teachers and I are excited to work with the PA and community to make this the best place for children – a place where we focus on children, we focus on learning, and we work together in a supportive relationship. We are looking forward to continuing our strong partnership and want to thank them for their on-going support and for hosting a well-attended pizza and ice cream social. We are also on Twitter! Follow us for updates, news and celebrations! I ask that you work with us and your children as we implement these procedures. Our success in working together will guarantee the safety and security of students, staff, and parents and will maintain our strong tradition of a positive and productive learning environment at the J. Turner Hood Elementary School. Please know that I have already discussed this with our students and staff. Returning to school for items- Please know that we are always looking for an opportunity to teach our students about responsibility. With that being said, we also recognize that students may forget an item or something that they need in their classroom after being dismissed from school. If your child forgets an item and returns to school, we respectfully request that you check in at the main office and let us notify the teacher. And parents are not allowed to be in classrooms unsupervised. Lastly, I would like to include an excerpt from a book in this newsletter. In Stopping At Every Lemonade Stand, How to Create a Culture That Cares for Kids, James Vollbracht offers a few neat ideas for ensuring that our children feel secure and know just how thankful we are for them. · Have high expectations for your kids, but back them with unconditional love. · Seize every opportunity to talk about small stuff: in the car, while watching TV, over the dinner table, before bed. · Know where your children are and with whom. · Get to know the parents of your kids’ friends. · Remember what it was like being a kid. · Show up at your kids’ games, performances, and recitals (they’ll be looking for you). · Tell your kids about their birth, and how glad you are they are in your family. · Write your kids notes reassuring them that you believe in them and love them (put them in lunch bags, under pillows, or mail them). · Remember, just because kids may dress and talk in a mature manner, they still need hugs, little talks, and lots of attention.